Put simply, social media doesn’t seem to be going anywhere, anytime soon. 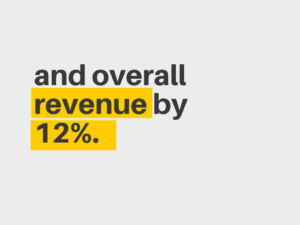 Which means businesses will continue to use their online presence as a means for revenue growth, brand equity, and customer loyalty. However, in an increasingly saturated market that fights for the attention of the user—especially the growth of paid advertising on these platforms—it can be hard for marketers to increase their reach on social media. While everyone seems to be so focused on the number of followers they have, this often leaves marketers forgetting the impact that small, incremental improvements can have in social media strategy. 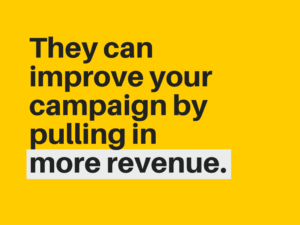 In fact, sometimes, smart and slight variations can increase engagement and conversion metrics. Which requires experimentation. Granted, experimentation can sound a bit intimidating, but it’s an idea that many global brands and technology companies use for all major projects. In the article below, we will give you 10 marketing experiments you can try to improve your reach on social media. To make sure your test results are as clear and informative as possible, firstly, you need to decide which metrics matter for the changes you are trying to provoke. For example, if your main social media goal is to increase shares, prioritize metrics like shares, retweets, and repins. In the “What’s different about it” column, you can specify the variable you’re testing. Say, for example, you’re experimenting with a black background in one graphic (Social Media Post A) and a green one in another (Social Media Post B). The second column, “How many people saw it”, would be where we consider each post’s reach when we compare them. It would be unfair to judge how good or bad the variables did if they each had a different chance of reaching your audience, but were measured according to one fixed metric of effectivity. For example, if one post resulted in 100 shares and was shown to 1,000 followers, is that comparable to getting 100 shares from a post shown to only 500? No. In the third column, “What’s your success metric?”, insert the measurement that makes sense for your social media goals. For this example, we’ll use the number of shares. To come up with a rate that fairly shows each variable’s effectiveness, compute for what percentage of the people who saw this post actually shared it. Now comes the final and most delicate part of this testing process. How are the two figures you came up with so different that we can be certain that changing a post’s background color (in this case) will drive better results moving forward? We can make this as simple or as complicated as we want, but you want to make sure that you're reporting on data that is statistically significant. GetDataDriven’s A/B Significance Test was created to test different versions of a website. Ignore the page wording in here and fill the form’s fields with your posts’ reach and share numbers. See where it says “your A/B test is statistically significant”? That’s what a successful experiment looks like. One simple experiment to try, is sharing the same post with a different image: One where the main center of attention is a person, and one where you are directing the viewer towards an object. In a study conducted about imagery in web design, a group of scientists found that human images with facial features induced a user to perceive a site as more appealing, having more warmth or social presence. On the other hand, using an object as the focal point could help emphasize product features that users are actually interested in previewing before they click. That’s when an object-based approach like displaying a mockup or style photo can draw attention to particular actions that your user will be able to perform if or when they make a purchase. Think about the last time someone mentioned a mobile app and showed a compelling screenshot: Did that trigger your interest to click on that brand’s social media image? This approach might be a better fit when your social media followers are highly involved in your core product’s technical features. Share a social media post attaching an image of an inanimate object. Share the same social media post, attaching an image of a human face instead. Try to make this second post go out at a similar/identical time and day of the week to prevent other circumstances from affecting (and potentially confounding) your test’s results. Measure shares, views, and comments to see how you audience reacts to each. Select a single design element, whether that’s color or typography, and create alternative versions of your social media image using a different level of each. For example, you could share a social post with the same content twice, but different in terms of the color and font used. While it might seem like a minor change, modifying a graphic’s color combination or font type can have a large impact on your viewers. A study from Georgia Tech evaluated over 1 million Pinterest graphics to determine which colors were related to the most shared pins. Researchers concluded that red, purple and pink promote sharing, while green, black, blue and yellow all stop people from sharing. Are your followers feeling compelled to click whichever link you are sending their way? Whether it's a "Swipe Up" link on Instagram Stories or a sign-up link in your bio, it's worth testing different action verbs (or calls-to-action) to see which one is truly catching their attention. Also, try out different landing pages to test what happens once followers actually click through. Appeal to humor. Is there any way you can approach the need to check out this product/service with a fun angle? For example: “No more ugly sweaters. This year give them something they’ll actually keep!” — for a Holiday retail campaign. Go ahead and create a simple animation with a quote or data point that might interest your audience. Use the same data point or quote to create a static image. Alternatively, grab a still from the animation in step 1. 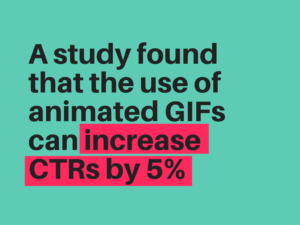 Take note of how sharing a static image compares to that animated GIF’s performance in terms of clicks, comments, and shares. Similarly, emojis provide an entire spectrum of emotional expressions that you can use to make your message sound more human. See what I mean? ?? Sometimes your message can’t be described as effective or ineffective in absolute terms. Whether a specific type of copy or image appeals to your followers or not may well depend on what that target audience is like. In consumer behavior, we segment different human groups according to two different types of variables: Psychographic and demographic. While psychographic variables include lifestyle, attitudes, and preferences, demographic ones refer to more “hard line” traits like age, gender or location. Both Facebook and Twitter allow you to segment the paid ad campaigns that you decide to run. On Twitter, you can target users by psychographic variables like interests and demographic variables like location and gender. Similarly, Facebook allows you to create a special audience with demographic characteristics like a certain age, and psychographic characteristics like their behaviors. Sharing one message with young men 18-30 and one with older men 31-50. Launching one image for women and one for men. Testing one version of your (English) copy with Canadians and one with Australians. With social media scheduling tools like Hootsuite and Buffer, it has become increasingly easier to send out messages using multiple platforms at off-peak times. Have you ever tried appealing to a time zone that is radically different from your own? If you are in UTC-5 (New York), it would be interesting to try out a few shares in UTC+1 (Central European Time). There are plenty of social-media scheduling tools that can help you achieve this without needing to be permanently attached to your phone. Pinterest. Create long, pinnable images. Facebook. Create rectangular images following Open Graph recommended specs. Twitter. Tweetables + Twitter Cards. Different social platforms indicate a specific image size that adjusts to the way they display information. Optimizing for these various sizes will result in a better experience for your existing and prospective followers. 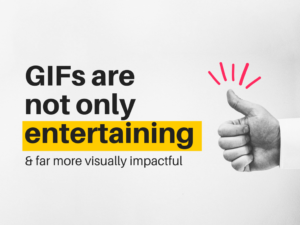 In my experience, optimizing graphics for Pinterest’s long, vertical approach to images can radically improve engagement metrics. Of course, this is subject to how important the Pinterest demographic is for your product/service and how much engagement you currently get in that platform. Canva makes it easy to design and repurpose social media images for each of these platforms. Make sure you check out the Magic Resize feature in Canva for Work. To launch a lean experiment with image dimensions, try sharing out a square image on Facebook followed by a rectangular graphic to link to the same article. Compare how the two fare in terms of shares, comments and clicks. Hashtags are tools to organize content. And more recently, social media mediums are using surfacing and prioritizing content that uses hashtags. Since your audience is probably using these tags to discover content, it is in your best interest to find out which the most popular ones are in your space. Once you do, go ahead and tag your posts to make them even more visible for your audience. Create and share a social media post using one of them. Create and share a social media post using the second hashtag. Make sure this second post goes out in similar conditions (day, time, season). Measure both posts for likes, comments, and shares. Sometimes readers want more than a simple snapshot that represents the entire piece of content you’re linking to. Displaying a more elaborate graphic can help give followers a preview of what they will find in the body of your article or landing page by displaying some of the key visuals they’ll be exposed to once they click. Create your own mosaics and measure how users respond to the visual in terms of clicks, likes, shares, and comments. If you want to create meaningful traction for your brand using social media, you have to balance consistency and innovation. Consistency, because it is important to maintain a certain rhythm (cadence, as some call it) that makes followers trust and expect your messages. Innovation, because without continuous improvement and experimentation, your online presence is essentially doomed. The social media bar is being raised a bit higher every day, and you don’t want to ignore trends and tools that might make a sounding impact in your business.